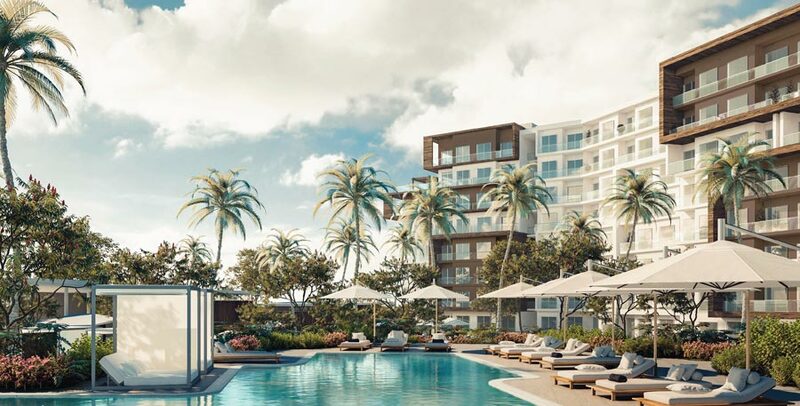 MCLEAN, Va. — Hilton plans to debut the upscale, all-suite Embassy Suites by Hilton brand in Aruba in 2021. The new-build, 330-suite oceanfront Embassy Suites by Hilton Aruba Resort marks Hilton’s second hotel on the island and continues the company’s expansion in the Caribbean. To be located across from Eagle Beach, the eight-storey, 330-suite resort will feature the brand’s signature suites equipped with a separate living area, private bedroom and wet bar fitted with a microwave, mini-fridge and coffee maker. Amenities will include 6,000 square feet of flexible meeting space, 3,000-square-foot spa, outdoor swimming pool, fitness centre and casino. The hotel will feature a signature restaurant serving breakfast, lunch and dinner; bar; grab-and-go dining option, for quick snacks; and complimentary cooked-to-order breakfast and two-hour evening reception serving snacks and beverages. Hilton currently has a portfolio of nearly 150 hotels and resorts in 25 countries across the Caribbean and Latin America. The company is pursuing additional growth opportunities and currently has a development pipeline of more than 80 hotels throughout the region.